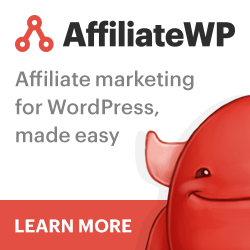 Today for are excited to announce the launch of our latest AffiliateWP add-on ‘Multi Level Affilliates‘, which adds multi level marketing to WordPress. Following the launch of our ‘Affiliate Groups’ add-on, you told us you wanted to set up multi level affiliate programs on a group by group basis. This is now possible as these two plugins are tightly integrated. MLA allows you to set up unilevel or fixed matrix programs and the referral rates can be set on a per level basis.